Theresa May is to call for "concrete measures" to ensure girls in Commonwealth countries spend at least 12 years in education. The prime minister will pledge £212m, which Downing Street said would allow almost one million more girls to go to school. Too often they are forced out by "discrimination, poverty, or simply the expectations of society", she will say. It comes ahead of the Commonwealth Heads of Government Meeting in London. Formerly known as the British Commonwealth, the Commonwealth of Nations is a loose association of former British colonies and current dependencies, along with some countries that have no historical ties to Britain. The CHOGM summit is held every two years. 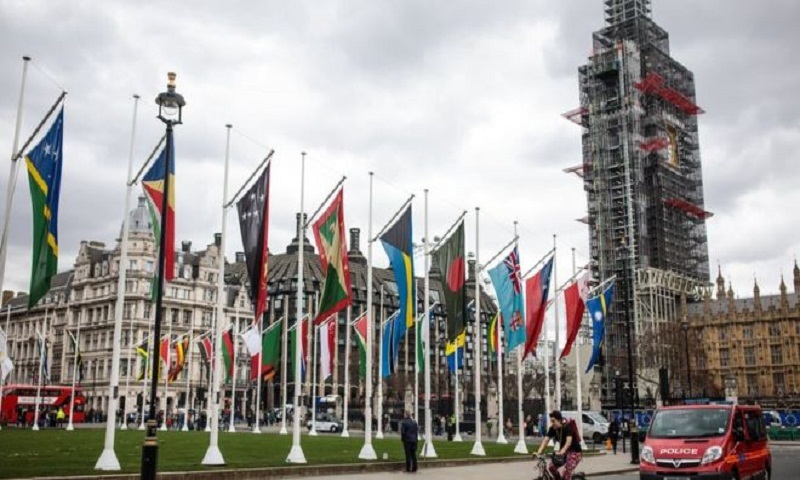 Announcing the £212m from the foreign aid budget, she will urge Commonwealth nations to agree to the 12-year goal, calling for "concrete measures that will allow it to become a reality". She will also focus on the fight against malaria, saying the Commonwealth has a "particular duty" to tackle the disease. "We cannot, in good conscience, talk about the young people of the world, about securing a legacy for our children and grandchildren, without tackling a disease that, worldwide, kills one of them every two minutes," she will say. Viewpoint : How likely is an Assange conviction in US? How would nuclear war change humanity? India election 2019: Has India's BJP government kept its promises? Germany's economy: Should we be worried? Where are we now with the Thai election? Where is the Islamic State group still active around the world? India election 2019: Is India building enough new houses? Why are nets appearing over trees and hedges? India election 2019: Why can't politics move beyond Nehru? Boeing: What next after the 737 Max disasters? Brexit vote: What just happened? Ethiopian Airlines: Who are the victims?